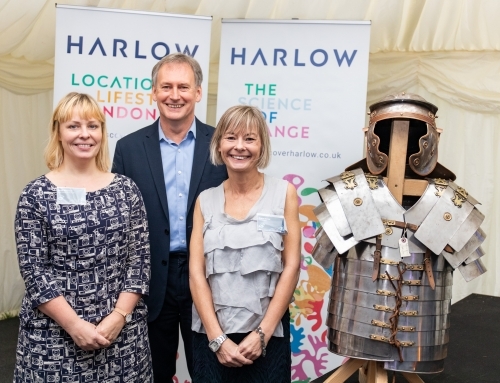 Our Ambassadors met at Harlow Cricket Club on 27 February for the third Harlow Ambassador meeting. 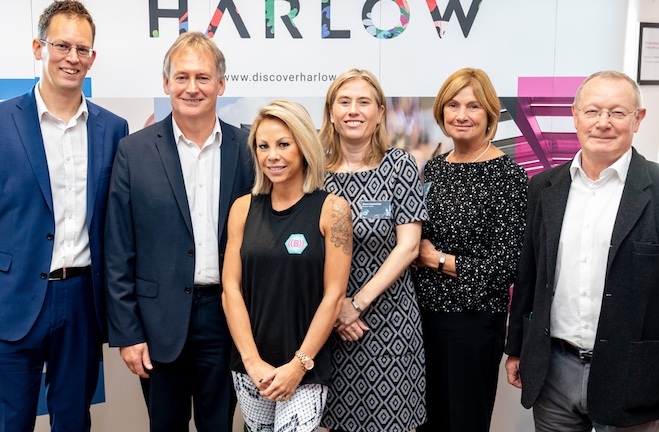 Ambassadors meet regularly in one of Harlow’s exciting venues to network and hear first-hand the latest news about the town, which they can share with their contacts. 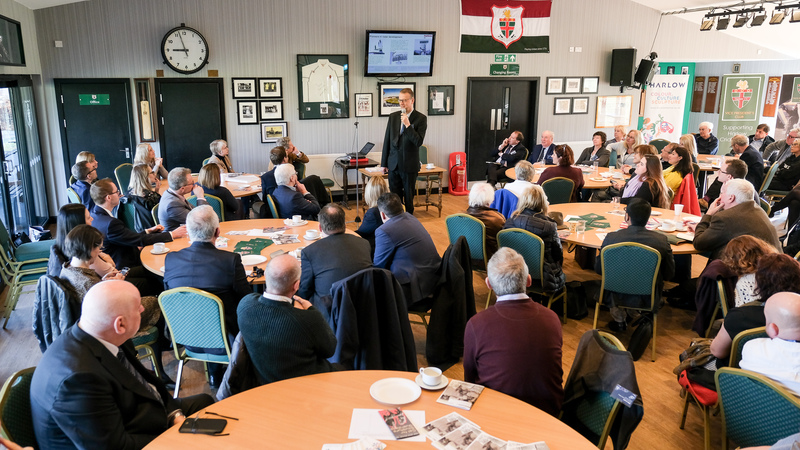 Alan Howick, President of Harlow Cricket Club, who welcomed Ambassadors to the club and gave a brief overview of its history and facilities. Harlow Cricket Club is older than Marylebone Cricket Club and is the site of first mechanical cricket scoreboard. Andrew Lee, Business Director, Raytheon UK, who spoke about the company’s commercial activities in the UK and worldwide, its work within the Harlow community, and local employment opportunities, particularly the new Apprenticeship scheme. 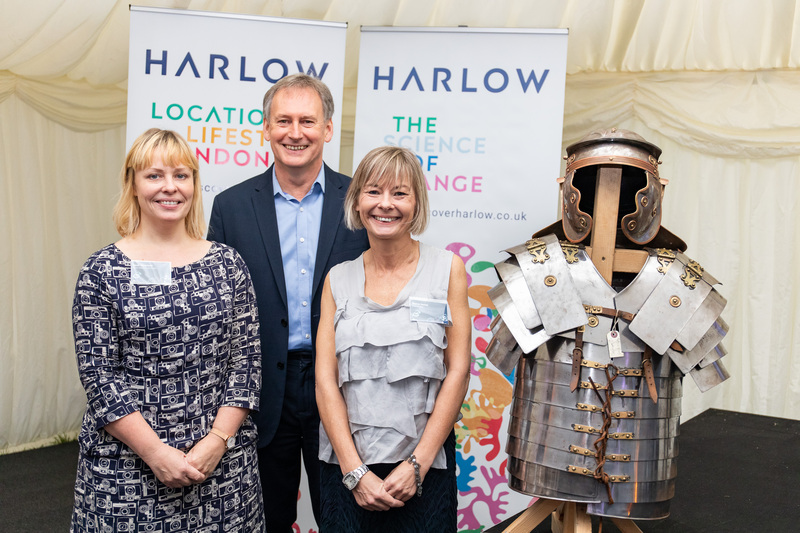 Chris Snow and Catherine Mummery of Harlow Art Trust, who spoke about its role in Harlow, the Access Harlow Sculpture town project and interactive map and the Heritage Lottery funded Sculpture Guardians sculpture conservation initiative. Dr John Keddie, Chair of the Harlow Place Board also spoke about two of the town’s sculptures, Rodin’s Eve and Elizabeth Frink’s Boar, which were recently featured in a Guardian article on the Art UK public sculpture catalogue.